What Are the Names of the Clothing Worn by Islamic Men? Most people are familiar with the image of a Muslim woman and her distinctive dress. Fewer people know that Muslim men must also follow a modest dress code. Muslim men often wear traditional clothing, which varies from country to country but which always fulfills the requirements of modesty in Islamic dress. "For Muslim men and women, for believing men and women, for devout men and women, for true men and women, for men and women who are patient and constant, for men and women who humble themselves, for men and women who give in Charity, for men and women who fast, for men and women who guard their chastity, and for men and women who engage much in Allah's praise—for them Allah has prepared forgiveness and great reward" (Quran 33:35). Here is a glossary of the most common names of Islamic clothing for men, along with photos and descriptions. The thobe is a long robe worn by Muslim men. The top is usually tailored like a shirt, but it is ankle-length and loose. It is usually white, but may also be found in other colors, especially in winter. Depending on the country of origin, variations of the thobe may be called the dishdasha (such as is worn in Kuwait) or the kandourah (common in the United Arab Emirates). The ghutra is a square or rectangular headscarf worn by men, along with a rope band (usually black) to fasten it in place. The ghutra (headscarf) is usually white or checkered in red/white or black/white. In some countries, this is called a shemagh or kuffiyeh. The egal (rope band) is optional. Some men take great care to iron and starch their scarves to precisely hold their neat shape. The bisht is a dressier men's cloak sometimes worn over the thobe. It is particularly common among high-level government or religious leaders, and on special occasions such as weddings. These white cotton pants are worn beneath the thobe or other types of men's gowns, along with a white cotton undershirt. They may also be worn alone as pajamas. Serwal has an elastic waist, drawstring, or both. The garment is also known as mikasser. In the Indian subcontinent, both men and women wear these long tunics over loose trousers in matching suits. Shalwar refers to the pants, and kameez refers to the tunic portion of the outfit. This wide band of patterned cotton cloth is wrapped around the waist and tucked into place, in the fashion of a sarong. It is common in Yemen, the United Arab Emirates, Oman, parts of the Indian subcontinent, and South Asia. Known by various names around the world, the turban is a long (10 plus feet) rectangular piece of cloth wrapped around the head or over a skullcap. The arrangement of the folds in the cloth are particular to each region and culture. The turban is traditional among men in North Africa, Iran, Afghanistan, and other countries in the region. What Is the Abaya That Is Worn by Muslim Women of the Arabian Gulf? 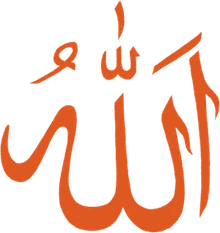 What Are the Names Muslims Use for Allah?